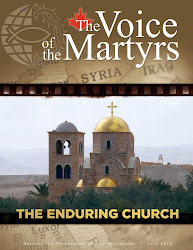 The June issue of The Voice of the Martyrs publication is now available! Home, especially when surrounded by close-knit family, should be the safest place of all. Yet for many of our persecuted brothers and sisters, it can be the most dangerous. Discover how “Rachel,” “Musa” and “Rebekah” were rescued from life-threatening circumstances and provided a safe place of refuge, healing and renewed hope through God’s Witness Protection Program. 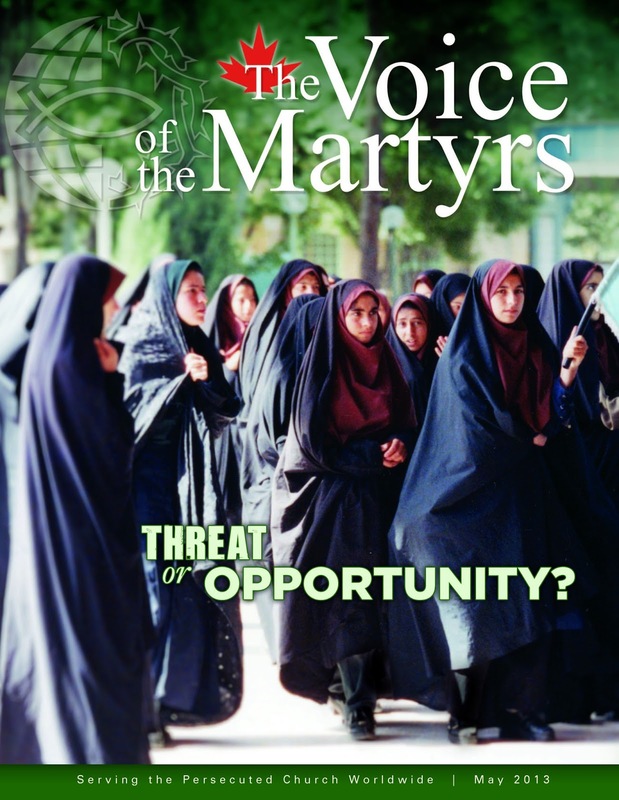 The Voice of the Martyrs newsletter is the flagship publication of The Voice of the Martyrs in Canada. Published monthly, it is available free of charge to anyone in Canada who requests it. You can subscribe by calling our office or by filling out our online form. Join us to hear testimonies and stories of persecuted Christians around the world. VOM speakers will be present at various locations in June and July. Sunday, June 2, 2013 10:30 a.m.
Sunday, June 2, 2013 6:30 p.m.
Sunday, July 14, 2013 10 a.m.
Sunday, July 14, 2013 6 p.m.
For other upcoming events, visit our website. Ethiopia: Family Divided, Then Reunited! "Abdu" and his father "Suleman" now spend time praying and studying the Bible together, which is amazing considering that they had been estranged for almost two decades. "Suleman" wanted nothing to do with his son for many years. In fact, he even tried to kill him with a spear when he learned Abdu had become a Christian. Travel with a VOM team to Ethiopia to hear firsthand how Abdu and his parents came to Christ, and how Christians in Canada are helping missionaries like him advance God's Kingdom in this historic land. For other videos like this one, visit our multimedia site. Persecution is increasing in Myanmar as more people turn to Jesus Christ. As a result, Buddhists who've converted to Christianity are finding it difficult keeping their jobs, while facing the very real possibility of being driven from their homes. Two families currently working with VOM's Burma fish farm project are grateful for God's provision after having personally lost their jobs and homes since coming to faith in Christ last July. 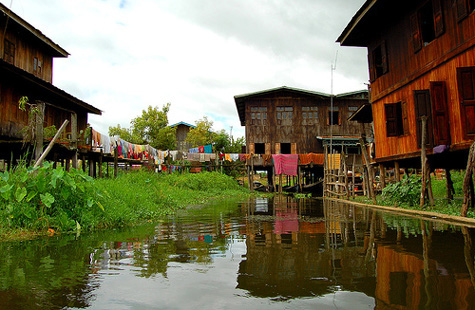 One family is living in a hut used for secret worship services, while the other is living in a hut where fish feed is stored. Amid the increasing pressure, the fish farm just completed its second harvest cycle. And thankfully, despite setbacks from flooding and government opposition, the farm has generated an income. This income will be invested in church planting, with a portion of it being re-invested to make the farm more productive. Praise God for these faithful believers in Myanmar. Pray that He will continue to grant them grace and strength amid their challenging circumstances (Colossians 1:11). May His provision continue in abundance, serving as a witness of His goodness and mercy. This story was originally published in our Persecution & Prayer Alert. Every week, The Persecution & Prayer Alert delivers specific prayer requests from restricted nations around the world directly to your inbox. You can also read the stories on our website. To sign up to receive the prayer alert, click here. Atheists do not acknowledge the invisible sources of their life. They have no sense for what is mystery in the universe and in life. Christians can help them best by walking themselves not by sight, but by faith, leading a life of fellowship with the invisible God. Western Christians can help by praying for the communists that they may be saved. Such a prayer may seem naive. We prayed for the communists, and they tortured us the next day. But the prayer of the Lord of Jerusalem was also “naive.” They crucified Him after this prayer. But only a few days later, they beat their breasts and five thousand were converted in one day. For the others, too, the prayer was not lost. Fulfilling the word of Christ, many other Christians and I always prayed for Hitler and his men. And I am sure that our prayer helped to defeat him as much as the bullets of the allied soldiers. We have to love our neighbours as ourselves. Communists and other persecutors are our neighbours as much as anyone else. I am not so naive as to believe that love alone can solve these problems. I would not advise the authorities of a state to solve the problem of gangsterism only by love. There must be a police force, judges and prisons for gangsters–not just pastors. But the pastor and the individual Christian have to do their best to bring the communist and other persecutor to Christ. We have to pray for them with understanding. Excerpted and edited by VOM staff from Richard Wurmbrand’s Tortured for Christ, available through VOM. The Voice of the Martyrs was founded in the mid-1960s by Pastor Richard Wurmbrand, who was imprisoned and tortured by Communist authorities in his native Romania for 14 years. While still in prison, Pastor Wurmbrand envisioned a ministry that would focus on the plight of the persecuted Church, raise a voice on their behalf, and provide encouragement and assistance to them. The May issue of The Voice of the Martyrs publication is now available! While Jesus warned that there will be “wars and rumours of war,” we can stand firm in anticipation of His imminent return. So instead of perceiving the ‘signs of the times’ as threats, let’s look beyond to the opportunities...as witnesses of His amazing grace among all the nations of the world.